1. 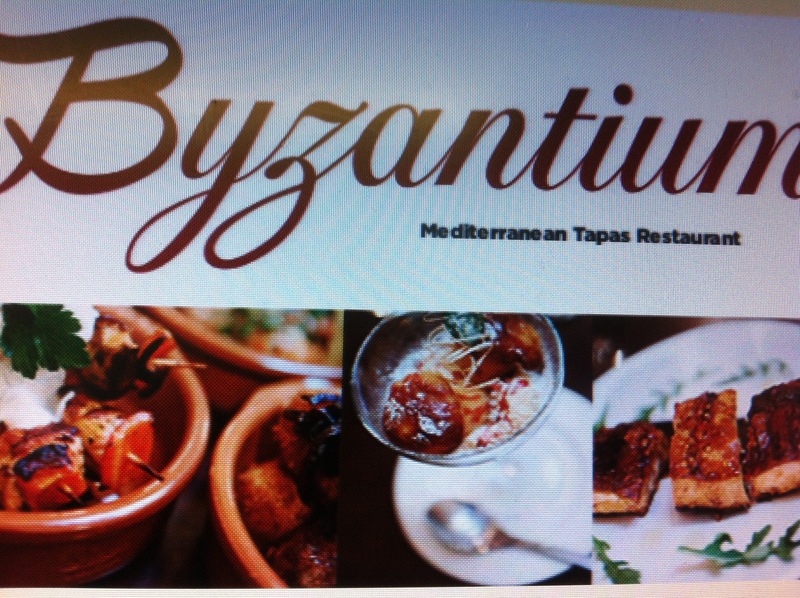 Byzantium Meditteranean Tapas on York Road in Kings Heath have relaunched a tapas menu at lunchtime. For £6.95 you can order three tapas veggie options are strong and include olives, Mini flatbread, Humous, Patatas Bravas, Spanish Omelette with potatoes, spinich and caramelised onions, and greek salad and Patatas Alioli. 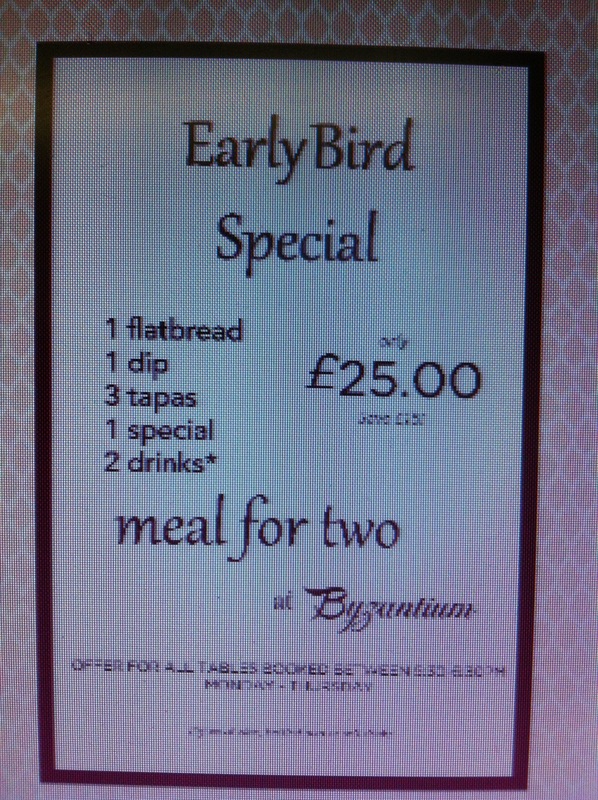 They have also introduced an early bird menu special for £25.00 when you sit between 5.30-6.30pm the meal for two is inclusive of drinks and includes 1 Flatbread, 1 dip, 3 tapas, 1 special, and 2 drinks. I love the food there and recommend it very strongly for veggie and vegans. 2. The Boston Tea party group of all day cafe’s have just this week opened in Harborne. They already reside in Central Birmingham on Corporation Street. 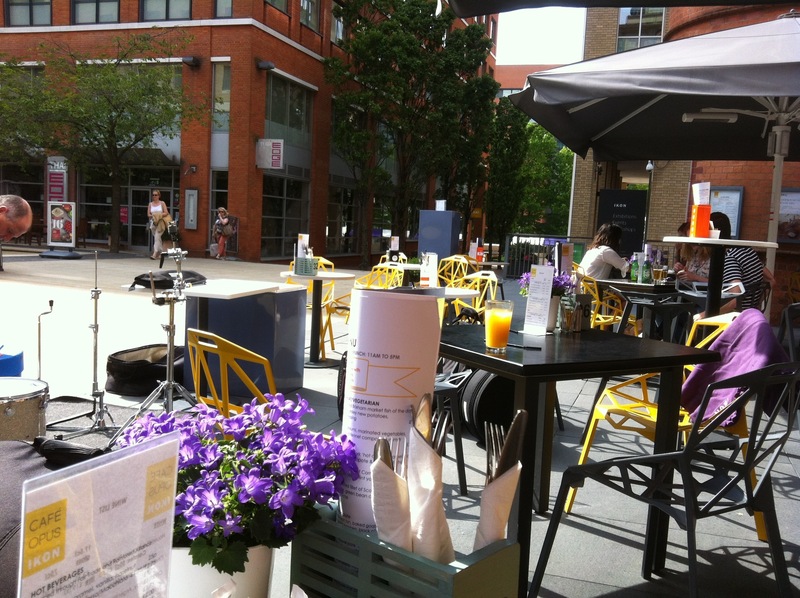 They specialise in Breakfasts, cakes, tea and coffee serving brunch, and all day and evening food. 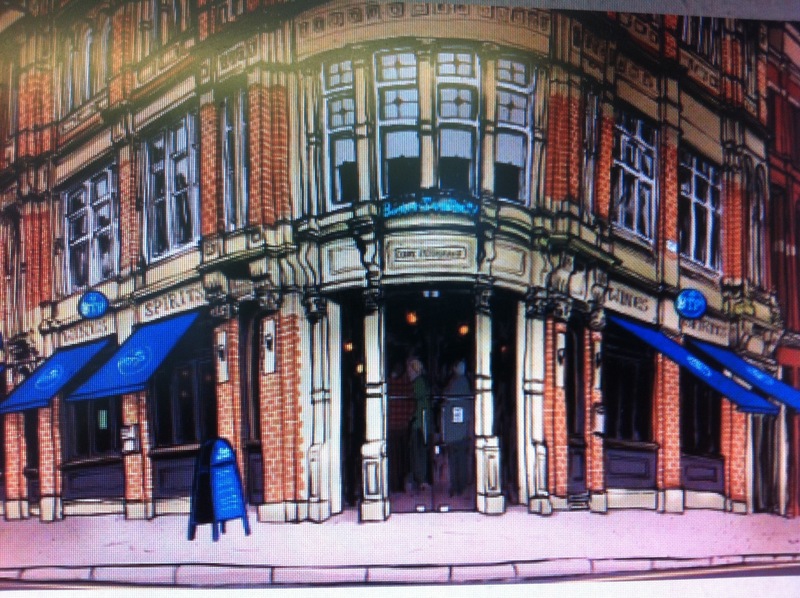 Boston Tea Party are a small family owned independent cafe group serving ethically sourced feel good food and drink that is home made and fresh. They are well known for their ethical stance, and awards for sustainability (recently awarded a 3 star rating) Their food is 100% free range and organic, their milk is too:) and they cater for veggies and vegans well. Amongst other things They serve Veggie Breakfasts, eggs florentine, pancakes, sweet potato couscous, salads, mushroom burgers, cakes, toasted sandwiches, loose leaf tea in teapots, coffee and everything is home made on the premises. 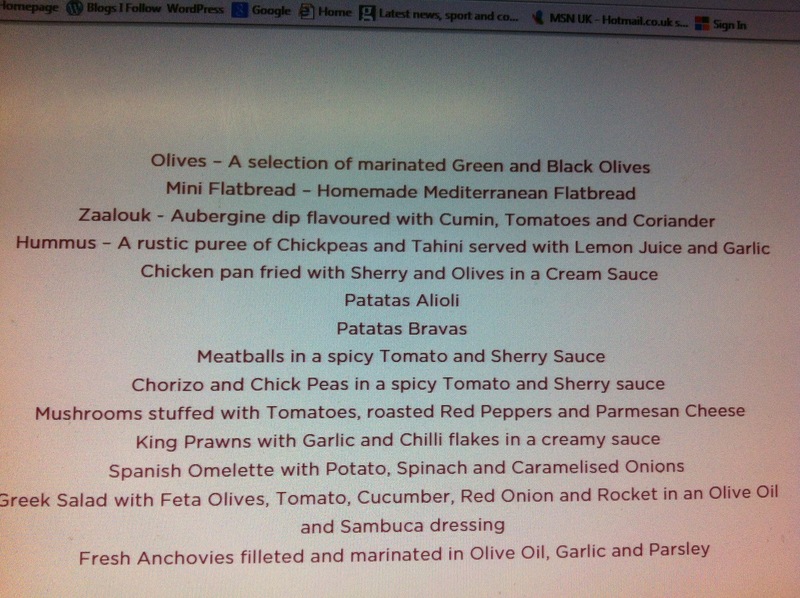 See website for full menu. The cafe seats 100 guests, and caters for 50 outside in a private courtyard walled garden area. It is in New The School Yard site off the High Street in Harborne. 3. 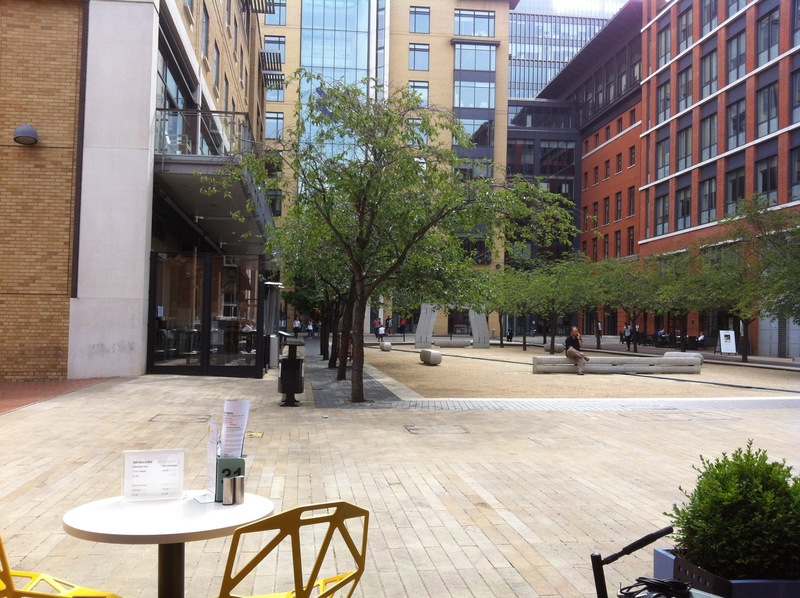 Cafe Opus in Brindley Place is still offering this Summer its Afternoon Tea deal. At £10 per person, this is a wonderful way to relax over three tiesr of sweet and savoury delights. 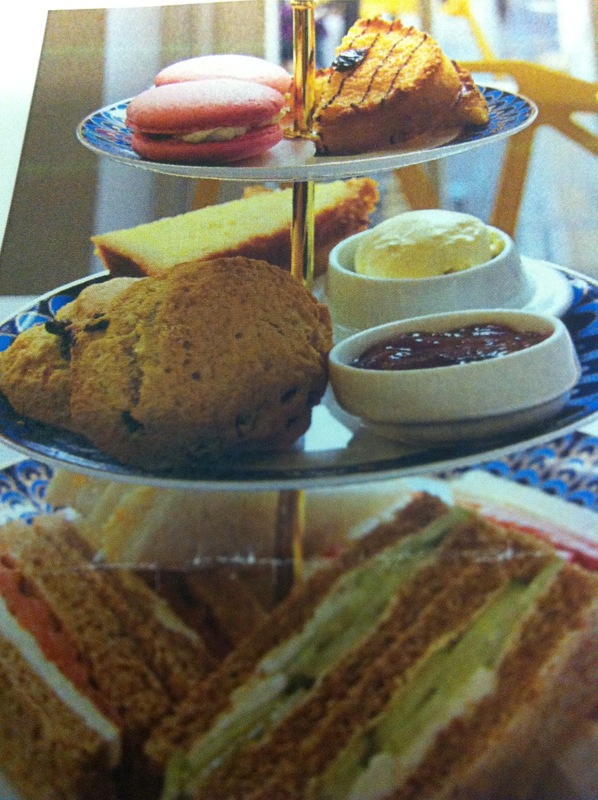 Finger sandwiches, fancy cakes, scones with clotted cream, and fresh fruit preserve, and a pot of tea. On top of this is can be taken weather permitting on a beautiful terrace looking out on peaceful Oozell Square. 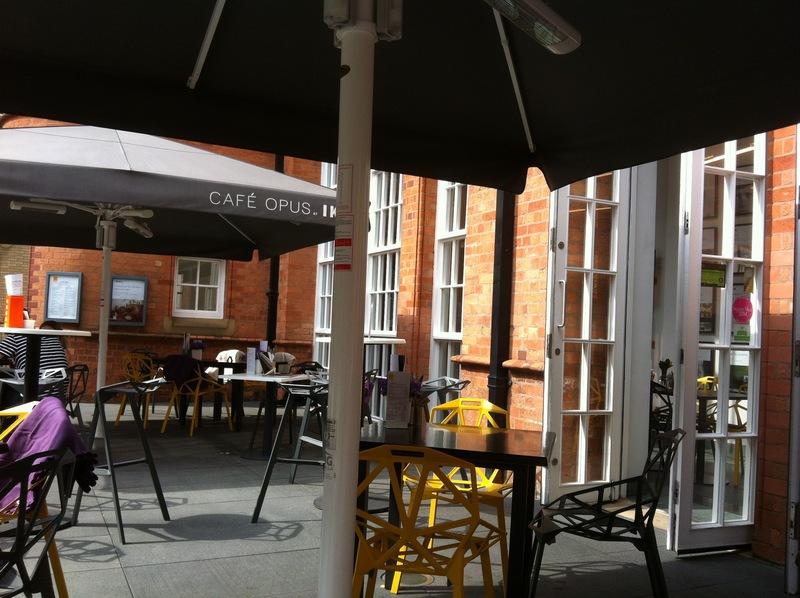 Afternoon tea is served daily between 2.30pm-5pm at Cafe Opus at The Ikon Gallery, 1 Oozells St, Brindley Place B1 2HS. Just a note, from my previous review. Cafe Opus is still serving a veggie and vegan supper menu for Meat Free Monday. All produce is market fresh. Every Monday savour all things veggie with a glass of house wine with every main course ordered. Andy, you mention that The Boston Tea Party has “tea in teapots.” It’s been a long time since I visited England, but are you saying “tea in teapots” has become something unusual in England? How is it typically served? Andy, that is so sad! They need to read my How to Make a Proper Cup of Tea post! Other than in the rare places that serve afternoon tea, a proper cup of tea is nearly impossible to find in the US. Yes that’s a good post. A lot of coffee shops and tea places do pots of tea. It is on the increase again. A lot more do loose leaf like Boston Tea Party. My point was mostly my humour, Thanks though for the comments. I appreciate your thoughts.